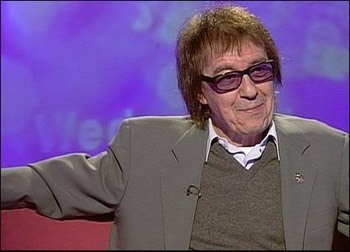 WHEN Bill Wyman suddenly quit The Rolling Stones a decade ago there were those who thought he was mad. After all turning your back on a lifelong gig with the greatest rock ‘n’ roll band in the world is not a decision to be taken lightly. But bassman Wyman, who brings his new band The Rhythm Kings to the Pavilion Theatre in Bournemouth on Thursday is absolutely certain that he made the right decision. “Best thing I ever did,” he says. Bill still shudders when you mention the bad old days when drugs and exhaustion took their toll on the working day. He’s much happier, he says, working with his current band, a bunch of virtuoso musicians with a common love of vintage blues and R&B. Apart from Wyman on bass The Rhythm Kings features Georgie Fame on piano, Albert Lee on guitar, Graham Broad on drums, Mike Sanchez on organ and Beverley Skeete on vocals. aghast at the feeble efforts of some of his former contemporaries. “There are a lot of old fogeys who’ve left major bands, just like me in fact , and they whack together some outfit and go out there but they’re pretty dire actually. “We often have to play with them at Jazz Festivals in Europe and its like two remnants of some famous band playing a bloody awful set. “These are people I used to know and were once very good at what they did but now they’re past it, they can’t get it together or they just can’t be bothered...whatever the reason they don’t come up with a good show and its very disappointing. The Rhythm Kings project started small with just a few gigs and a CD. Now there’s a CD every year, an annual six week trek around the Uk and another six weeks playing in Europe. The up-side is that he has an extraordinary group of musicians ready and able to lend a hand when needed. Last summer when Georgie Fame was temporarily unavailable he drafted in Eric Clapton’s keyboard player Chris Stainton. There are others waiting in the wings too. For instance, he says, drummer Graham Broad also works with former Pink Floyd bass player Roger Waters who occasionally calls him up for lengthy foreign tours. Bill is not only philosophical but realistic about the situation. “When that happens, off goes Graham. He has to go. It’s better money and he’s got four kids....But I can get Henry Spinetti so, you know... it’s a great pool of talent I’ve got out there.